You may have been hitting the gym quite frequently and working hard day in and day out to blast those calories. Whether it’s a cardiovascular activity, a strength conditioning program, or weight-lifting, you’ve been putting immense pressure on your body to lose fat, build muscle, and train hard. This can be tough both physically and mentally. Some days you may feel exhausted, sluggish, and even too lazy to make another trip to the gym for your workout. Observing adequate rest and recovery periods can be a great help in keeping your energy levels high. Rest and recovery after exercise are vital for the support of cell renewal, tissue repair, muscle growth, and strength building. In fact, taking planned recovery periods is crucial to the success of any training program and must not be taken for granted. It is during sleep that your body actually recovers from the impact of intense training. It is also during sleep that the growth hormone (GH) which is in charge of tissue repair and muscle building is produced. Further, getting adequate sleep also ensures that you perform optimally on your next training. A study conducted at Stanford University among tennis athletes showed that those who got extra hours of sleep over several weeks showed improved performance, alertness, and accuracy. On the other hand, athletes who had a “sleep debt,” were negatively impacted. Their overall performance, cognitive function, and reaction time were noticeably slower. Thus, getting adequate sleep is essential for anyone who works out regularly. Experts recommend that adults get about seven to nine hours of sleep each night. Aside from getting quality sleep at night, a 15 to 20-minute nap during the day also aids in recovery. Short or “power naps” are valuable for promoting heart health, stabilizing blood pressure levels, and regulating stress levels. Taking short naps also helps the body repair damaged cells faster. Active recovery refers to the period when you’re taking a break from your normally strenuous training in order to let your body “recover.” In contrast to “passive recovery” where you do absolutely nothing at all, active recovery calls for some form of exercise with lower intensity and lower volume. It only means you break away from the training regimen but still make time for light physical exercises that keep you moving and keep the blood circulating to help reduce muscle pain. Active recovery workouts are also described as low-intensity exercises such as swimming, light jogging, light cycling, brisk walking, yoga, and foam rolling. So, the next time you go into a recovery phase, consider doing some low-intensity exercises and make sure that you keep moving even while you’re technically “resting” from your training. You lose a lot of fluid when you exercise and this should be replenished by drinking lots of water especially after a workout. Water is vital for metabolic function, nutrient transfer, dehydration prevention, and flushing out of toxins. Proper hydration also helps to prevent muscle soreness. It supports optimum strength, endurance, and performance during workouts. Some studies have found that athletes who lose even just two percent of their body weight that is made up of fluids experience a reduction in their blood volume. This causes the heart to overwork. It can also be a cause for muscle soreness, cramps, dizziness, and exhaustion. 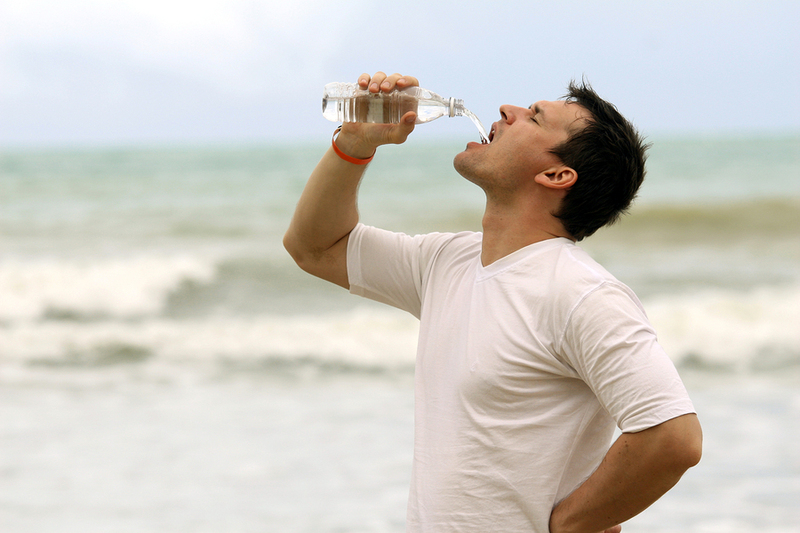 Dehydration should be avoided by constantly replenishing the fluids that are lost through sweating. Regardless of your training routine or how hard you work at it, you won’t be able to reach your goals without observing the right nutrition. Exercise only contributes to fat and weight loss by about 20 to 30 percent. The other 70 to 80 percent is attributable to the kind of food you consume. It is important to observe a balanced diet that has the nutritional value to support recovery and muscle growth. If the diet lacks any of the vital macronutrients, then the body’s repair process is likely to be slowed down. Post-workout, you should consume a meal that is comprised of about 20 to 30 percent carbohydrates. Without enough carbohydrate intake, the glycogen stores in the body can drop significantly right after an exercise. This is true for both aerobic and anaerobic workouts. The depletion can negatively affect your performance in the subsequent training unless carbohydrates are consumed to make up for the lost glycogen. The meal should also include 25 to 50 grams of protein. Proteins are sources of amino acids that build up tissues and encourage muscle synthesis. It is especially important that protein is a part of every meal when one is doing strength or weight training. Choose lean meats, white meat, eggs, lentils, beans, or go for a good quality protein shake. Healthy fats should also be included in the meal. However, make sure to keep the portion below 10 grams because too much fat can slow down the absorption process. Chocolate milk is a popular post-workout snack. It has come to replace protein shakes because it offers several nutrients that can be very beneficial for athletes. It contains large concentrations of B-complex vitamins, calcium, phosphorus, and vitamin D. These vitamins and minerals help to convert food to energy and promote bone health. It also contains a good carbohydrate-to-protein ratio that is necessary to refuel the tired muscles. 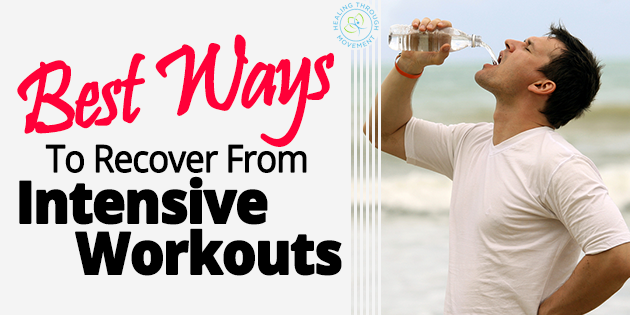 Drinking a glass can help speed up the post-workout recovery process. In fact, some research studies have found that it is more beneficial than most protein shakes. For acute muscle pain or soreness, you can take some nonsteroidal anti-inflammatory drugs such as Advil. Such pain medications can help to relieve the discomfort. However, it is not advisable to take these after each workout as there can be repercussions. Reserve your painkillers for days when the discomfort becomes more unbearable than usual. It is also recommended, that you consult your doctor before taking any kind of painkiller to make sure you don’t suffer from adverse effects or that they do not counteract with other medications you may be currently taking. Your body loses a lot of vitamins and minerals during exercise through perspiration and metabolism. This is especially true of the water-soluble vitamins such as B complex. B Vitamins – as previously mentioned, these are water-soluble and are not stored up in the body and thus, you need to make sure you supplement your B vitamins such as niacin, riboflavin, B12, and B6. You can get these naturally from lean meats, dairy products, and legumes. You can also opt to take Vitamin B-complex tablets. Vitamin E – Vitamin E helps to combat free radicals that damage cell membranes. It also aids in cell renewal and repair. Some ideal sources of Vitamin E include nuts, seeds, dark and leafy greens, avocados, cold-water fish, shellfish, and plant oils. Vitamin C – Like B-vitamins, Vitamin C is also water-soluble and is easily lost when through excessive perspiration. Thus, it needs to be replenished. Vitamin C supports the function of Vitamin E in cell regeneration and healing. You can obtain Vitamin C from several citrus fruits, green and leafy vegetables, bell peppers, tomatoes, and strawberries. Several athletes swear that ice baths are a great help in relieving soreness and inflammation caused by intensive workouts. These are especially helpful if you’ve developed an injury due to training. 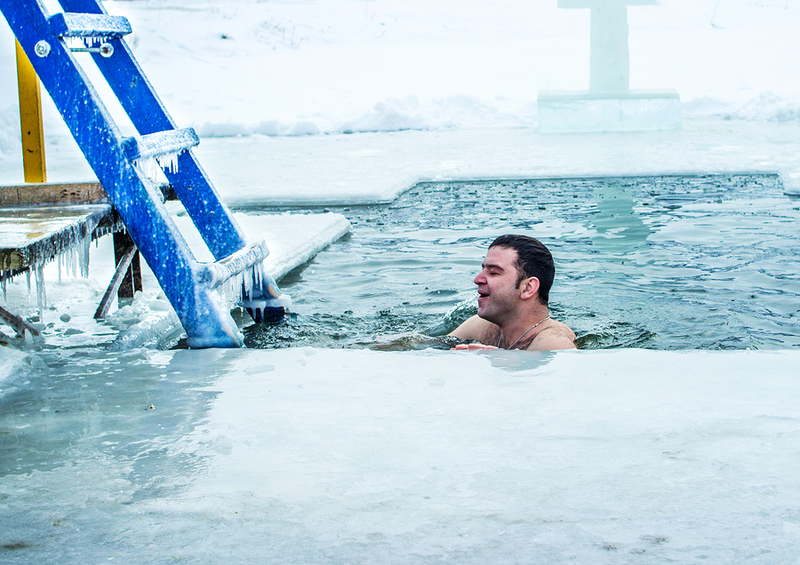 Just fill up your bathtub with cold water, dump some ice cubes and then submerge your body for at least 10 minutes. Afterwards, your body will feel less sore and you’ll notice a big improvement in the next 24 hours. One study found that those participants who had even 10 minutes of massage right after a strenuous workout had reduced inflammation and did not require any pain medication. The researchers also found that massage helps the muscles adapt to endurance exercises, as well as speeds up the recovery process. Further, it improves circulation and relaxes the body. Today, a number of elite athletes make sports massage a part of their recovery routines. They find that it reduces muscles stiffness and improves relaxation which helps then train harder. Having a sports massage regularly also prevents injury. As you push yourself harder each time to hit your training goals and to outdo your last performance, make sure to listen to your body. Don’t ignore it when it manifests signs that it is in need of a recovery period. You have to help it repair and regenerate before you can upgrade your workouts or make more progress with your current routines. So take a calendar out and mark the next recovery phase you intend to take. Also, observe some of these tips to help your body regain its energy and renew its strength faster. This will help you get back to your regimen and attack it with more aggression and vitality. If you want to strengthen your core and back, flatten your belly and achieve your dream abs while keeping yourself injury free, then check out the Invincible Core program.